Dad's are an important part of life. Without a dad, we can't help but feel like something is missing. This isn't to say that someone can't be raised well without a Father, but it does make it a heck of a lot harder. I am blessed with a very sweet dad who loves me deeply. He and I are very different in a lot of ways, but in some ways I understand exactly how he thinks and I can see a lot of similarities between us. I am thankful for my dad and thankful that I can always tell how much he loves me. Saturday, June 21st, is Father's day. Just like I wanted to treat my mom on Mother's Day, I also want to treat my dad on Father's Day. Does your dad have a favorite restaurant? Tell him to clear his schedule on Father's Day (or somewhere close to it) and take him out for dinner and dessert. Believe me, he will feel special, knowing you carved that time out for him. Don't live near your dad? Send him a gift-card to his favorite restaurant and tell him to splurge on a giant steak dinner. If your dad is anything like mine, he loves shows and movies (especially the "oldies-but-goodies"). Find his favorite shows on DVD and construct a bag with those movies/shows, along with a box of pop-corn and a bag of chocolates. He will be in television heaven! This one is for all those sentimental-teddy-bear-daddys (again, like mine). Get an 8x10 picture frame (Walmart has some sturdy yet very cheap ones) and a piece of card stock in whatever color you prefer. Select one or two pictures of you and your dad and have them printed. Cut the card stock to fit in the picture frame. Use a glue stick or double-sided tape to secure the pictures onto the card stock. Decorate the rest of the exposed card stock with sweet words, art work, or scrap booking accents. After you are satisfied with your mini-"collage", put it in the frame and viola! My dad loves gifts like these. If you and your dad have always watched sports together, why not get him tickets to see a team he likes! With baseball season in full-force, there are plenty of games to choose from. Can't afford the pro's? Take him to see your local minor league team instead. Even if it's not the Major Leagues, I'm sure he'd still enjoy the game- especially with you! 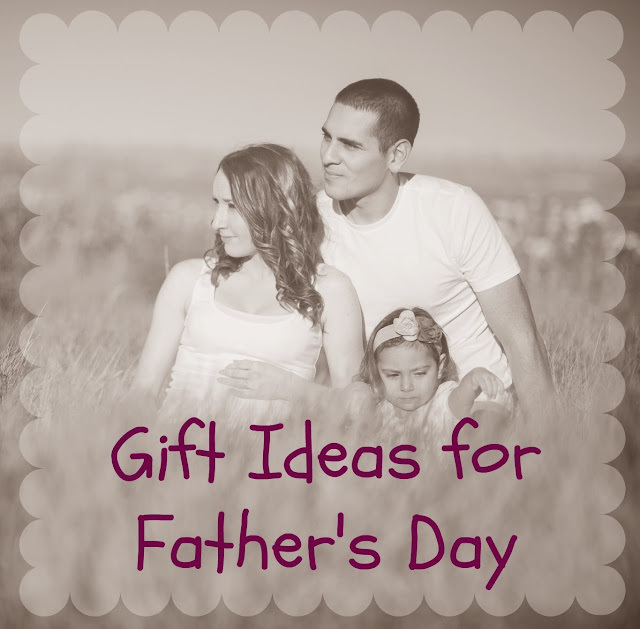 What are you thinking about doing for your dad for Father's Day? These are all fantastic ideas, Kristin! Father's day in the Dominican Republic, where I live, is in July, so I have a while to think about what I'll do :) But I love all of these ideas! Oh wow! I didn't realize that the holiday was different in the Dominican! Yes, you do have a little while to plan. Haha. Fun ideas! I've done the DVD kit before and it was a big hit! I love my dad, but always dread shopping for him on Father's Day. Every year He says the same thing, "I don't need a gift" and every year I try to give him the perfect gift.. these are great ideas! Love the connection they all bring between us and our dads! I wish I still had my dad to spend the day with. Treasure those times together because they will be gone one day. Love you! You are a great mommy-in-law! I love these thoughtful ideas. I'm glad you re-shared! My dad always buys himself all the "toys" he finds when he finds them, which makes it so difficult! I love the idea of the decorated picture. I would choose treat him for dinner. Thanks for your thoughts!